Digitalink is an Authorized Solution Provider for AT&T. We specialize in developing sales leaders and teams to promote AT&T U-verse and DIRECTV all over the United States. Digitalink's other clients include major energy suppliers in deregulated energy states and cable TV providers. We also offer factoring and logistical support to other broadband marketing firms. In select areas we also market other products to commercial prospects including networking services, wireless, security, surveillance and merchant services. 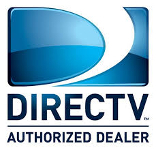 DIRECTV service sold through Shop Your Bills Inc, an authorized dealer.